Theater and performing arts are alive and well in Tacoma’s Theater District. Tacoma Arts Live presents year-round world-class artists at three Tacoma theaters: Pantages, Rialto and Theatre on the Square. The theaters are home to many art groups offering a variety of year-round entertainment. Each year, the theaters play host to ballets, symphonies, live comedy, musicals, concert bands, popular music and other special events. 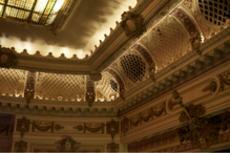 The Pantages Theater opened in January 1918 and is often regarded as the most beautiful in the chain of Pantages’. Today it is the oldest of the Pantages Theaters still in operation. 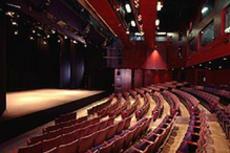 Attend live productions, concerts and symphony’s, ballet and more at the historic theater. 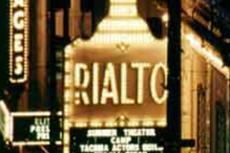 Hailed as "the ultimate photoplay house," the Beaux-Arts style Rialto opened in September 1918. Tacoma’s Rialto was part of a national movie house chain with ornate plaster decoration including replicas of cupids and patriotic eagles that are still original and in good shape today. Attend regular concerts by Northwest Sinfonietta, Tacoma Symphony Orchestra, Tacoma Youth Symphony and other artists. The newest of the Tacoma Arts Live theaters, Theater on the Square opened in October 1993. The 302-seat theater and rehearsal hall sit adjacent to the Pantages. Theater on the Square has full production capabilities offing a variety of shows each season. Catch films, entertainers, puppet shows and other performances.